We've had so many rainy days lately, and it was a damp and drizzly Sunday morning when we went for a walk in our local park. There were a few dog walkers out, but we were largely alone, and felt like explorers as we pushed through an overgrown path and gingerly tiptoed around muddy patches. Sparkly ballet pumps were probably not the best footwear choice, but they were unscathed. We emerged from the bushes next to the river, where the beauty of nature was somewhat interrupted by the wreckage of a car on the furthest bank. Our area has a problem with young people driving too fast, and this was obviously a tragic consequence. Last week our neighbours' parked car was hit by joyriders in the early hours of the morning. Let's hope the offenders are caught. 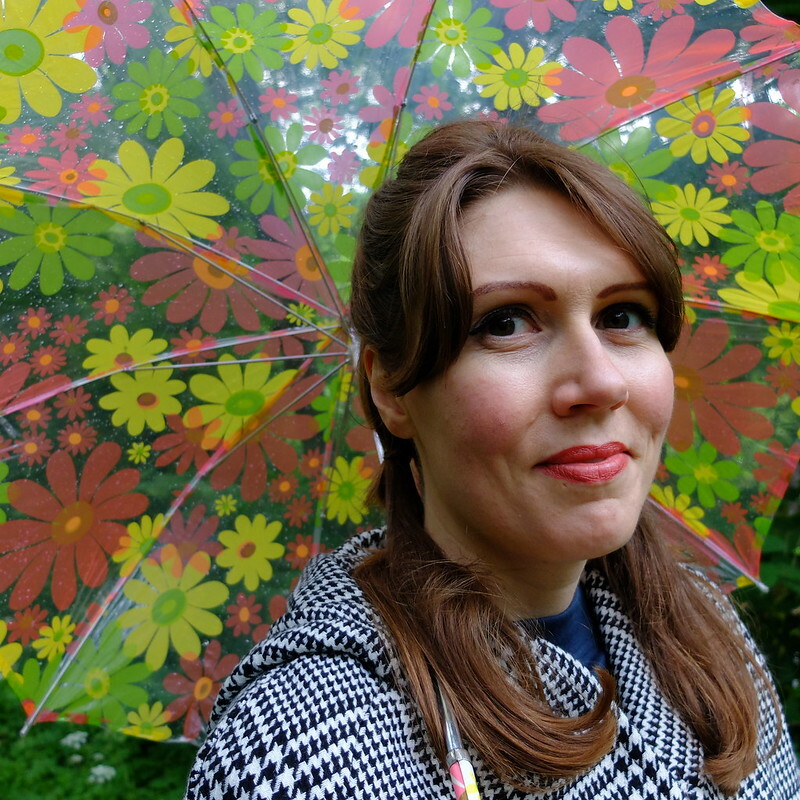 To brighten things up on such a rainy morning, I took my new purchase, a 1960s deadstock umbrella. 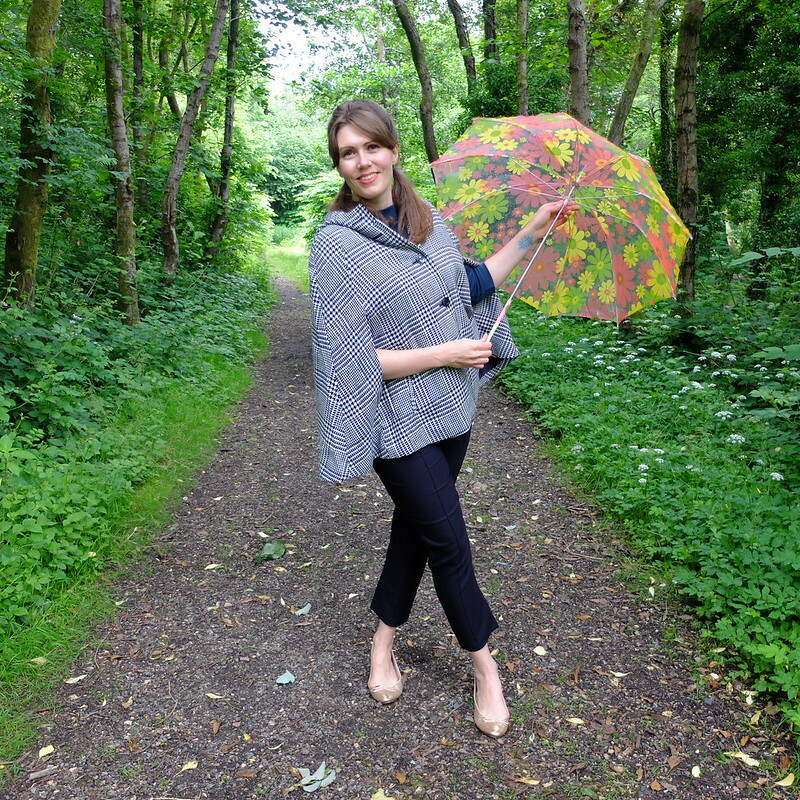 I also finally got around to wearing a little cape that I bought from the car boot sale, brand new with tags for £2. The top is one of the Vivien of Holloway slashneck tops, and I would happily buy it in other colours. A thick jersey (ponte? ), it looks great with cropped trousers, and is plain enough to show off a nice brooch. 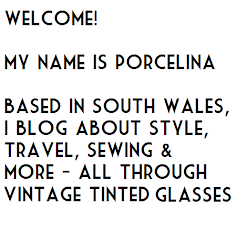 I pinned my new Sarah Coventry pineapple brooch to it, that I bought for £4 in a charity shop on our trip to Tenby. After our walk it was time for the weekly food shop, and then we had a nice roast chicken dinner. I'd made a trifle for dessert to try and cheer up the gloomy day too, with rose custard. It certainly put a smile on my face! What do you get up to on a Sunday? 60's stuff suits you down to a T, and it always looks like you have such fun with it! Love that cape! And that deadstock umbrealla was a great find. Sounds like it was a lovely day! I love taking walks out in nature. 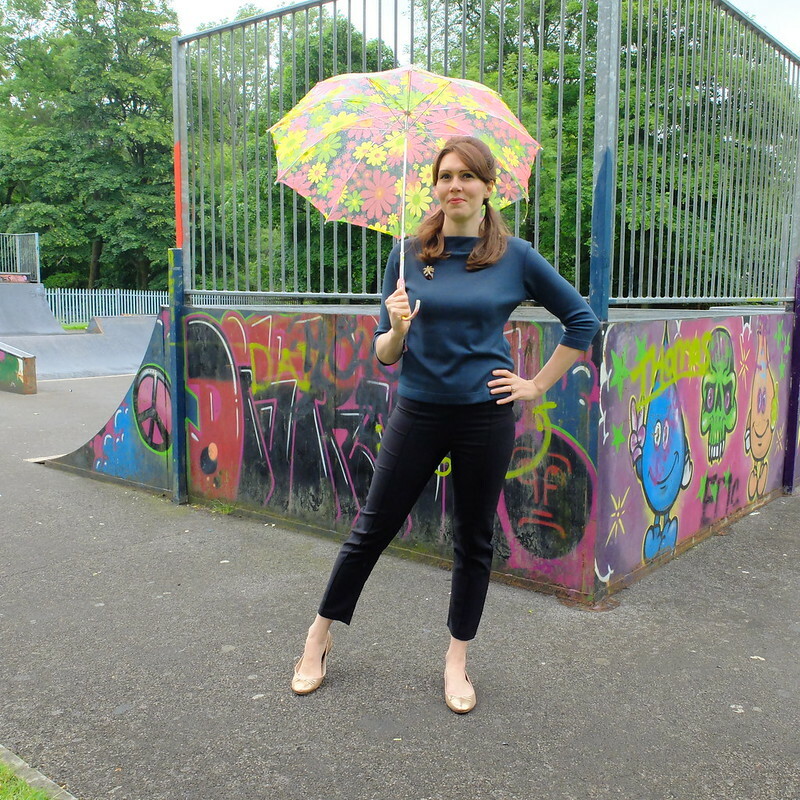 That umbrella is groovy baby, yeah! 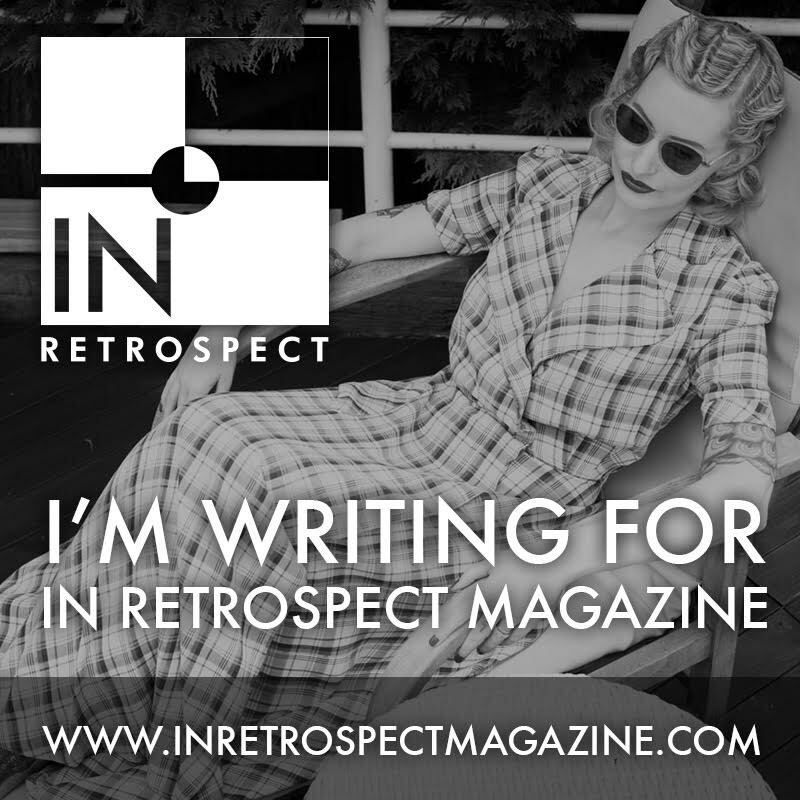 You really do rock the 60s stuff - you capture the chic-yet-fun aspect of it. Killing it!!!! That cape is so fabulous, what an amazing car boot sale find. If you were to be transported back in time to the 60s you certainly wouldn't look out of place strolling down Carnaby street with that groovy umbrella! I love the way that you truly capture the ethos of the 60s with this outfit - glamorous with a fun burst of colours and prints. 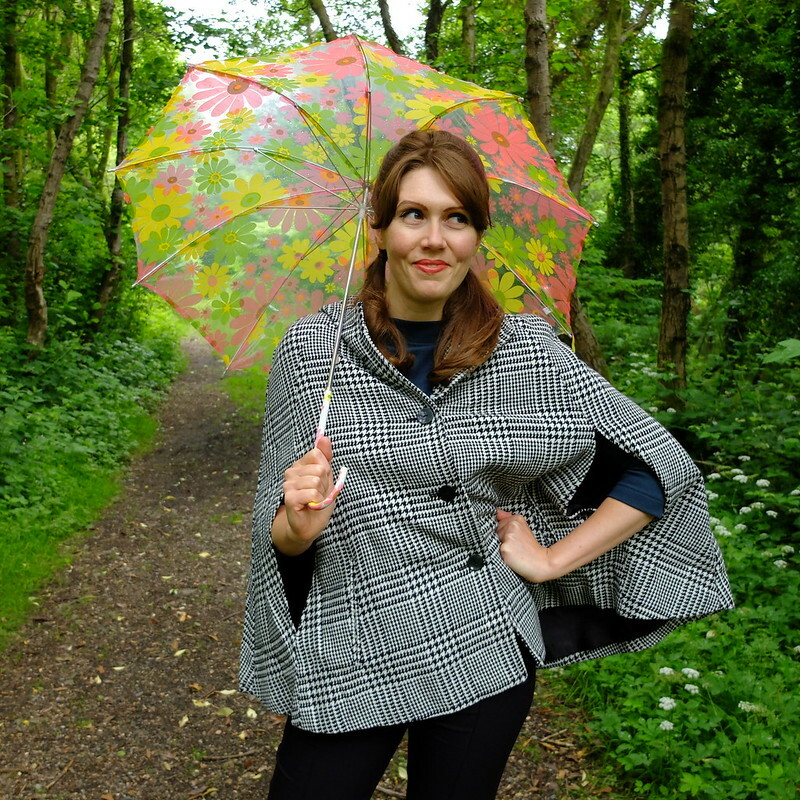 The houndstooth print cape is glorious ! and what a bargain. Great rainy day look! I have yet to try the slash top you are sporting. It looks fab on you so I might cave in and give it a try. 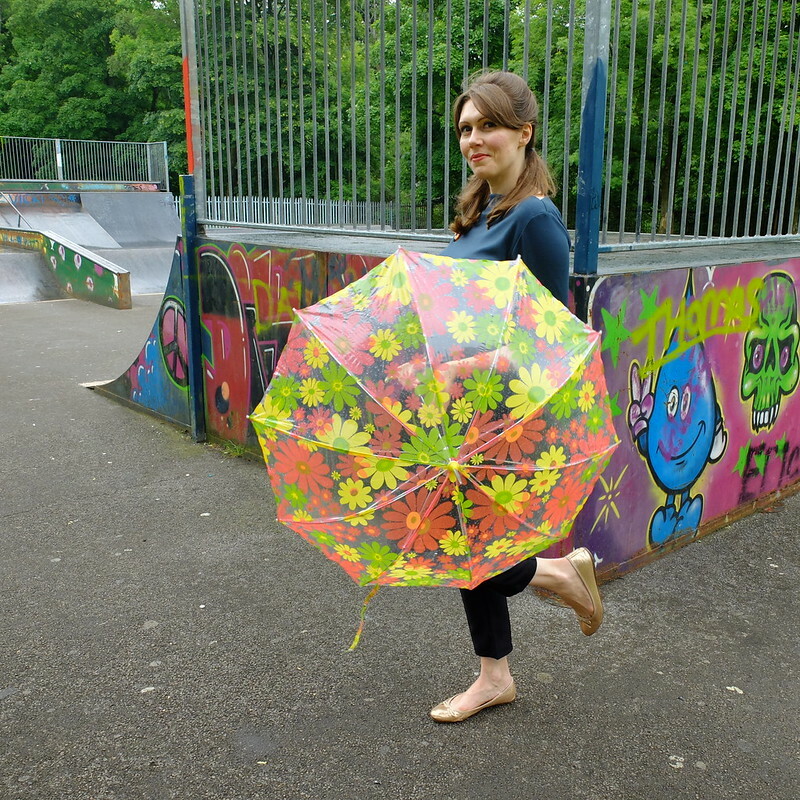 Such a cool brolly! Shame I always loose mine. I'm convinced they run away! You look so stinking cute! I love the hairstyle on you - so 60s - and that cape is the kind of things my dreams are made of when the weather starts to turn cool. I wish I looked this cute most Sundays! 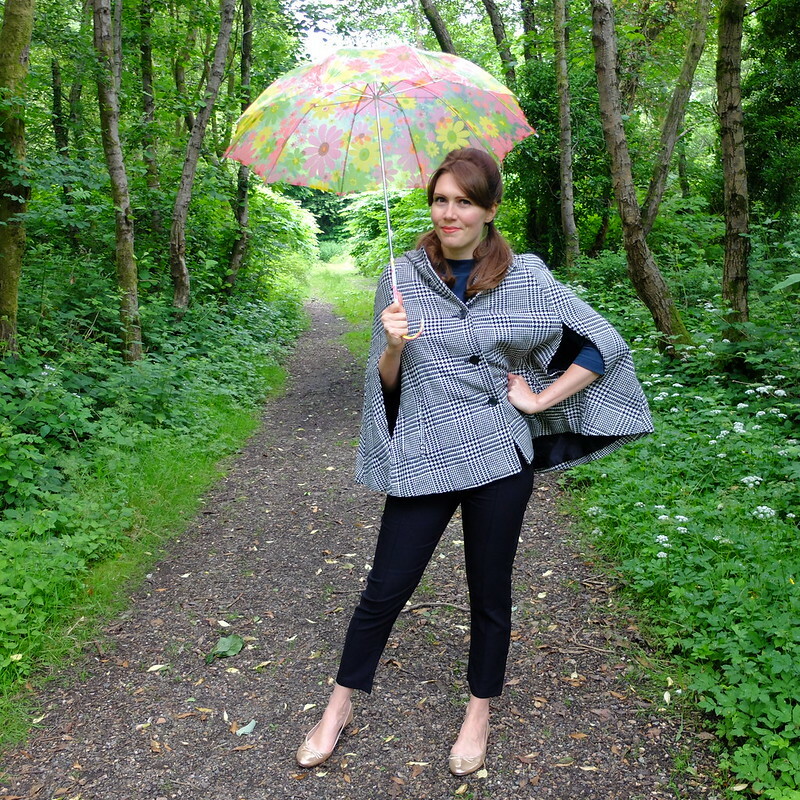 Seriously covetable umbrella - it almost makes a rainy day something to look forward to. 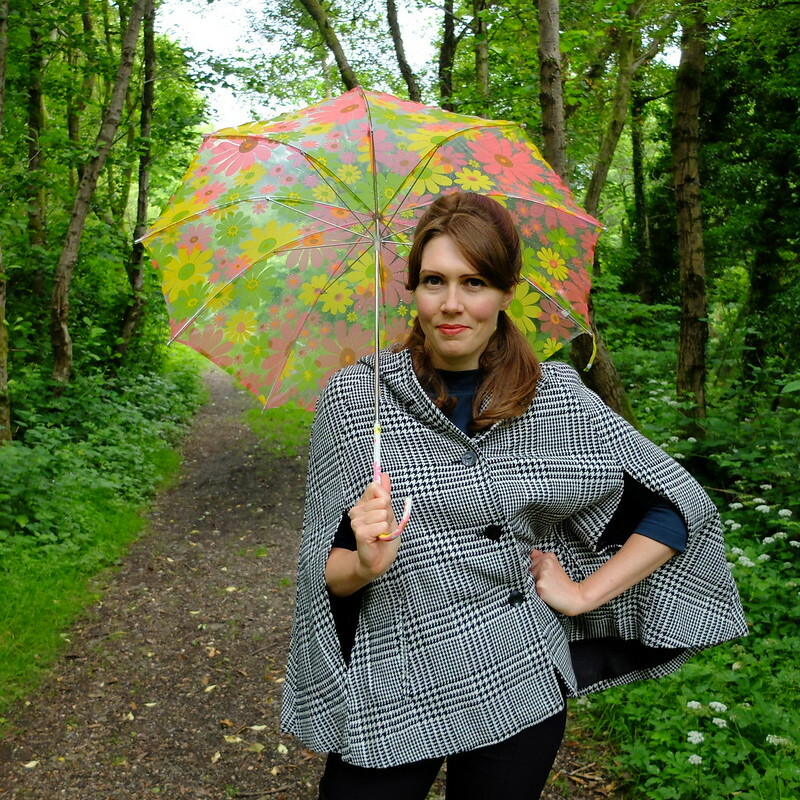 I do love a good cape too, and that's a VERY good cape. Fabulous outfit! Your pineapple brooch is the cutest! 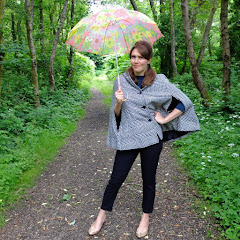 You are the absolute poster child here for why capes are one of the most amazing garments ever invented. 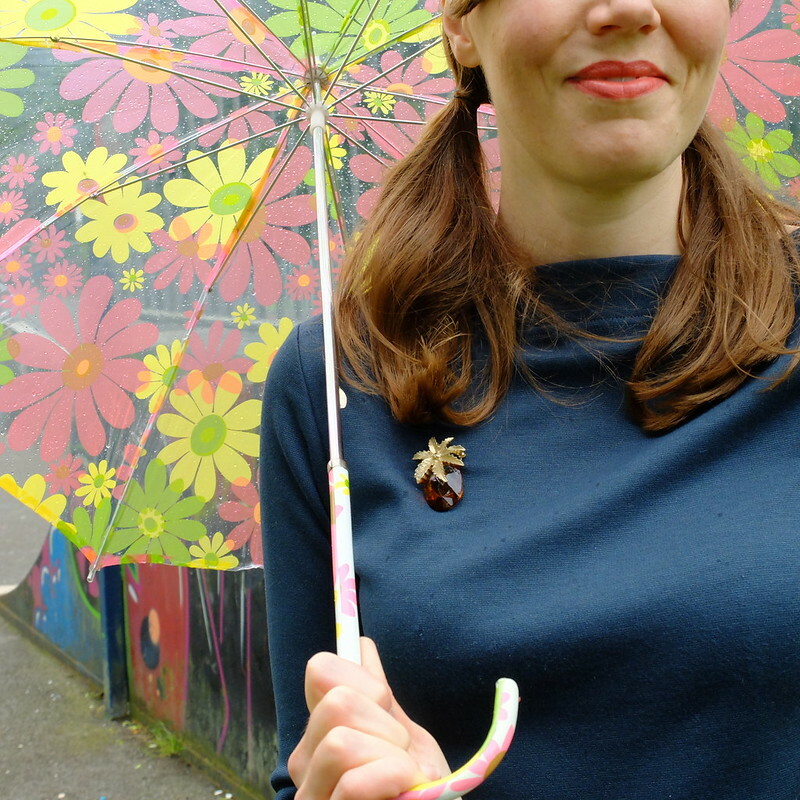 Marvellous brolly, so cheerful in the rain. Great cape too!